Sylvia Furmanovich Marquetry 18-karat gold and wood multi-stone earrings, at net-a-porter.com. 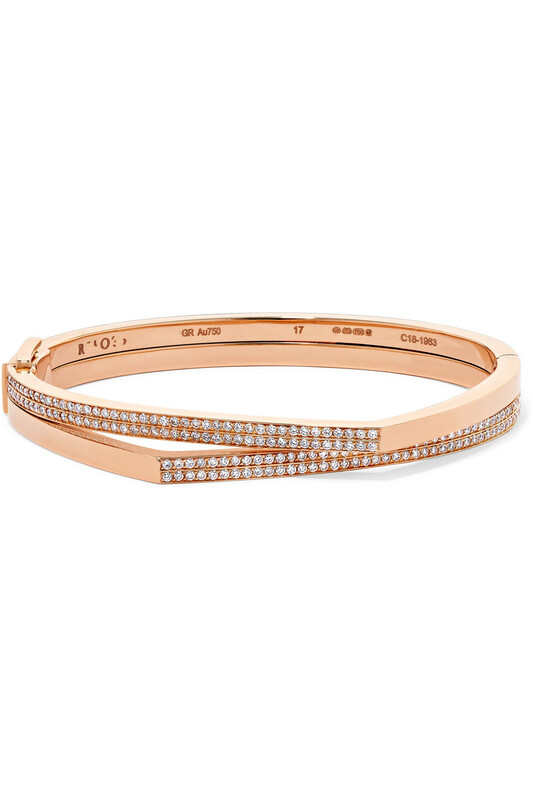 Repossi Antifer 18-karat rose gold diamond bracelet, at net-a-porter.com. 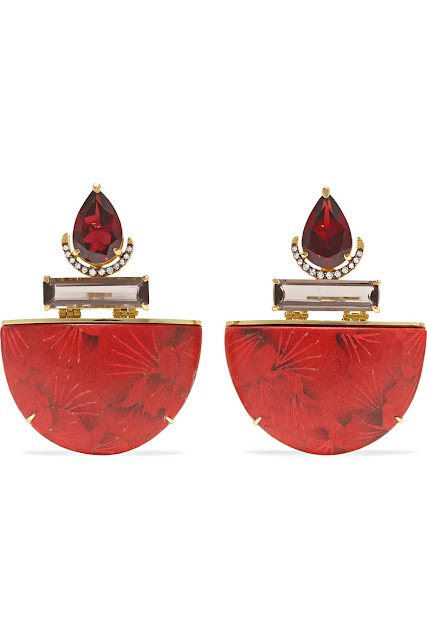 Roger Vivier jewel button leather slingback pumps ,at mytheresa.com. 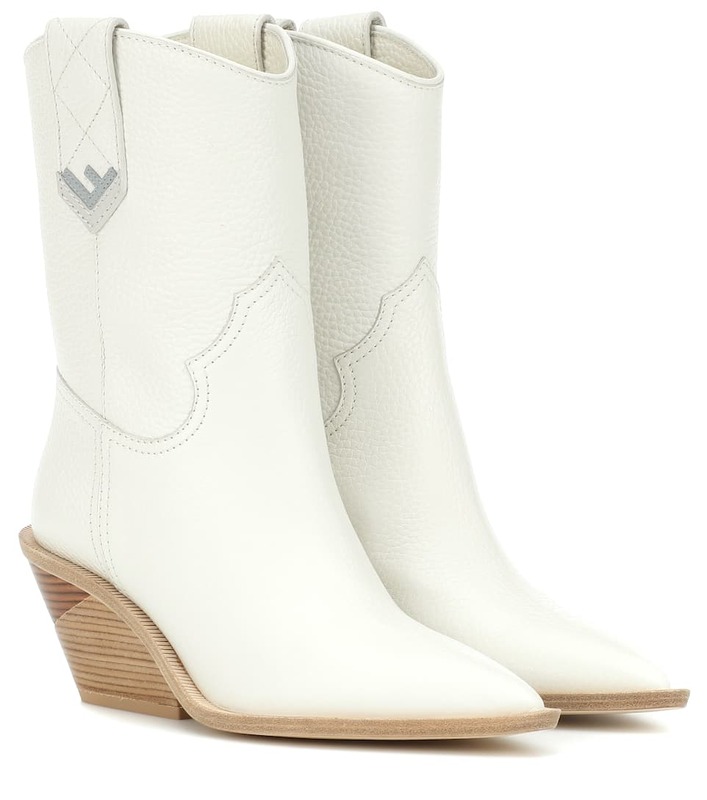 Fendi leather cowboy boots, at mytheresa.com. 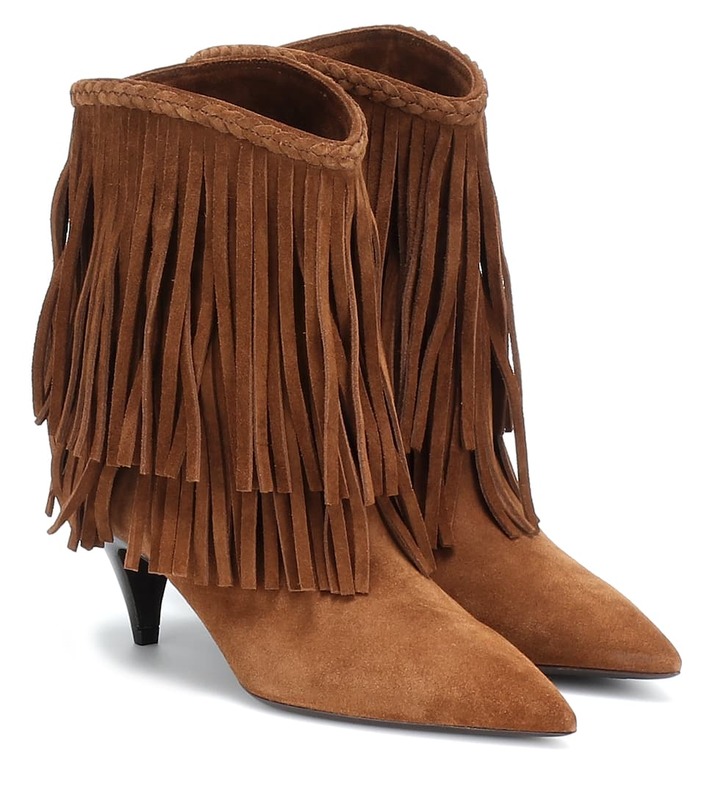 Saint Laurent Charlotte fringed suede ankle boots, at mytheresa.com. 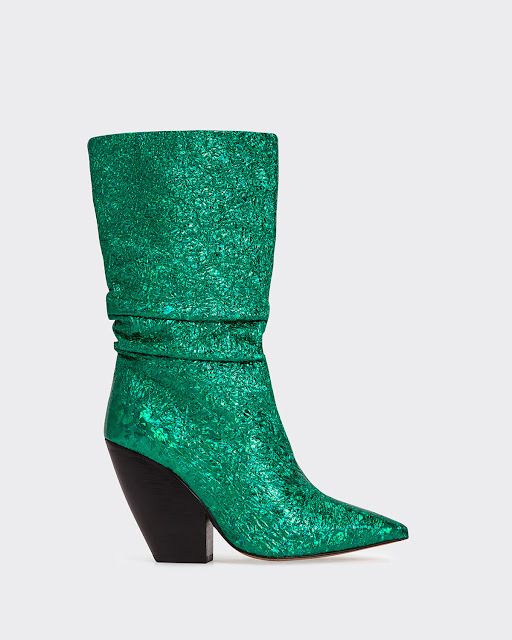 Iro Elektric Boots, at iroparis.com. 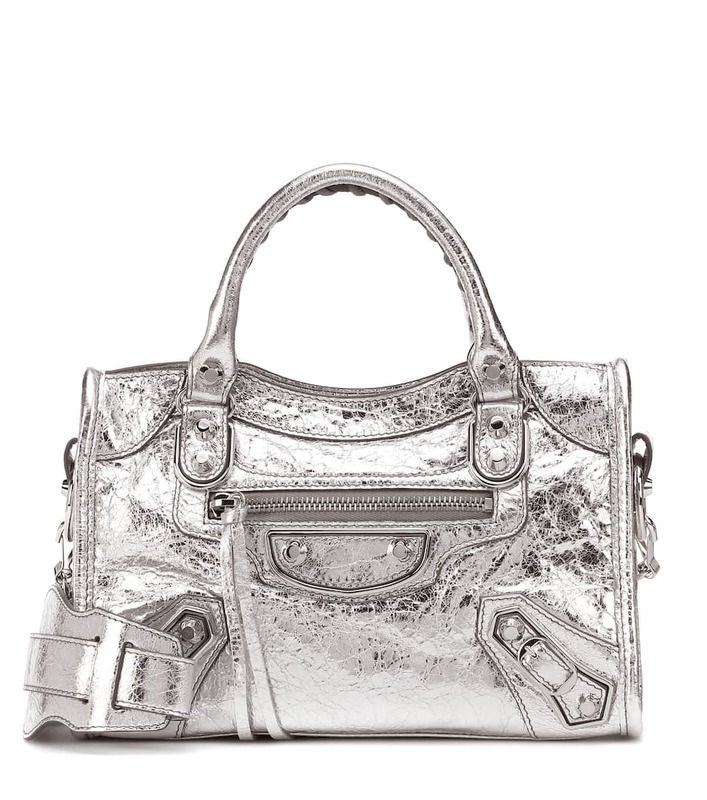 Balenciaga Classic City mini leather shoulder bag, at mytheresa.com. 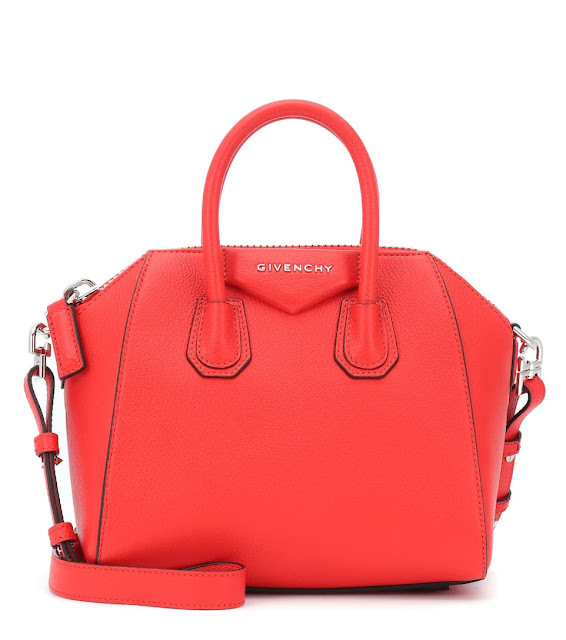 Givenchy Antigona mini leather tote, at mytheresa.com. Maison Margiela lace-trimmed camisole, at mytheresa.com. Reem Acra draped pleated silk-blend lame bustier top, at net-a-porter.com. 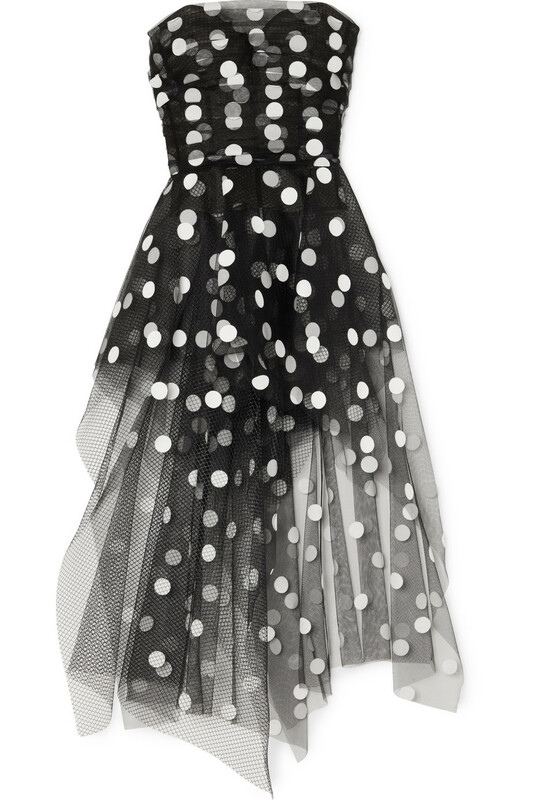 Oscar de la Renta strapless asymmetric polka-dot flocked tulle top, at net-a-porter.com. 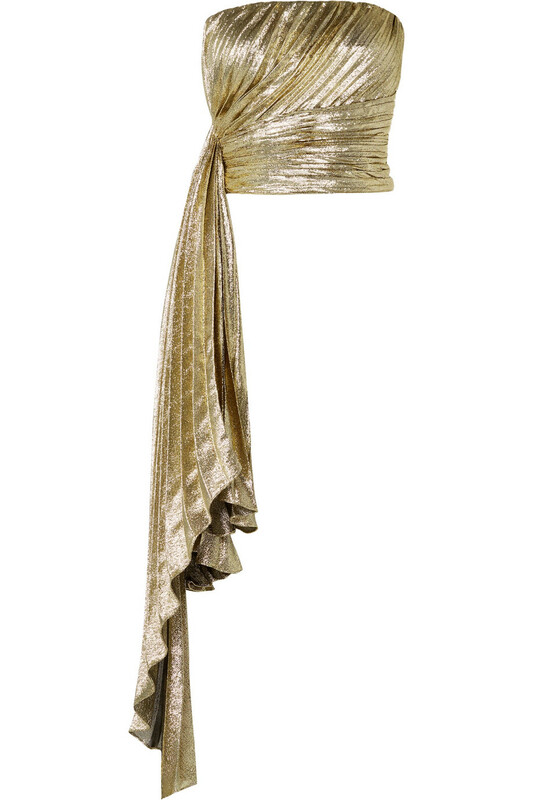 Isabel Marant Zeke embellished velvet top, at mytheresa.com. 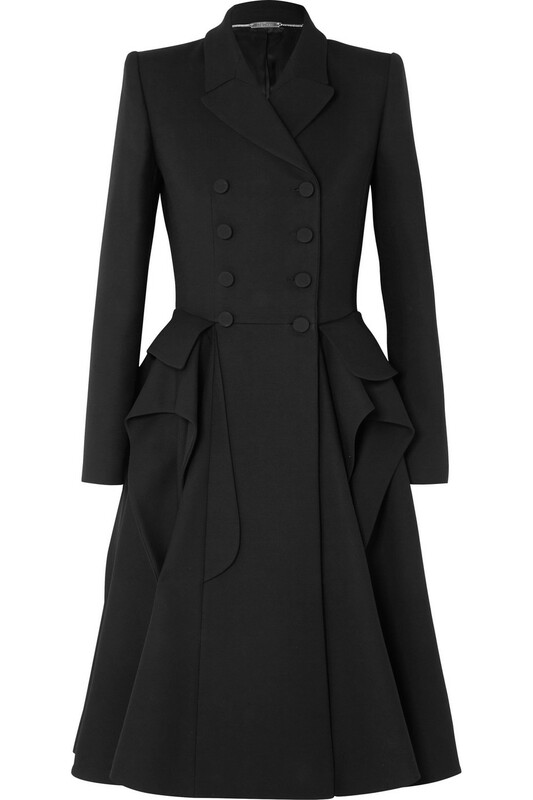 Alexander McQueen ruffled wool-blend cady coat, at net-a-porter.com. 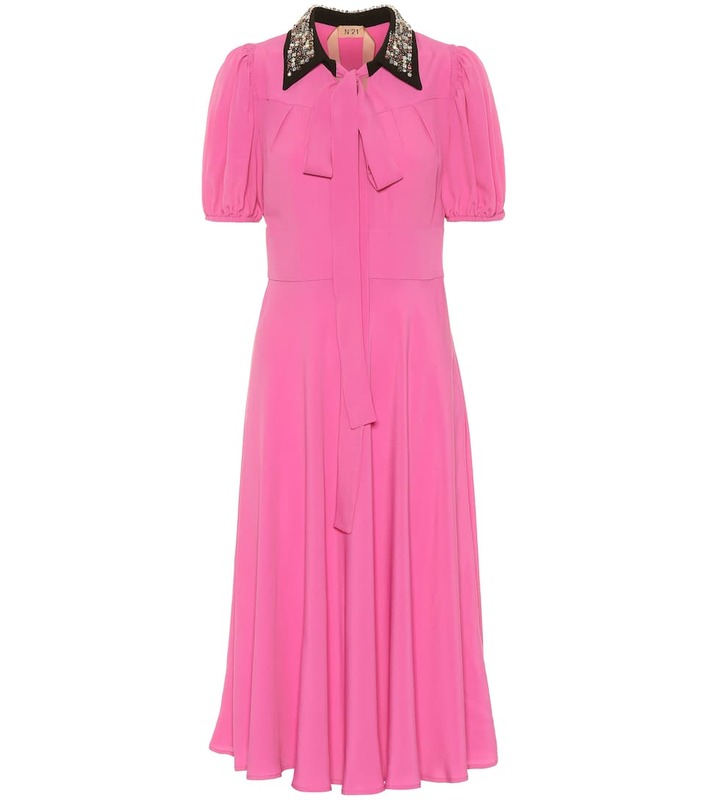 Dries Van Noten feather-trimmed dress, at mytheresa.com. 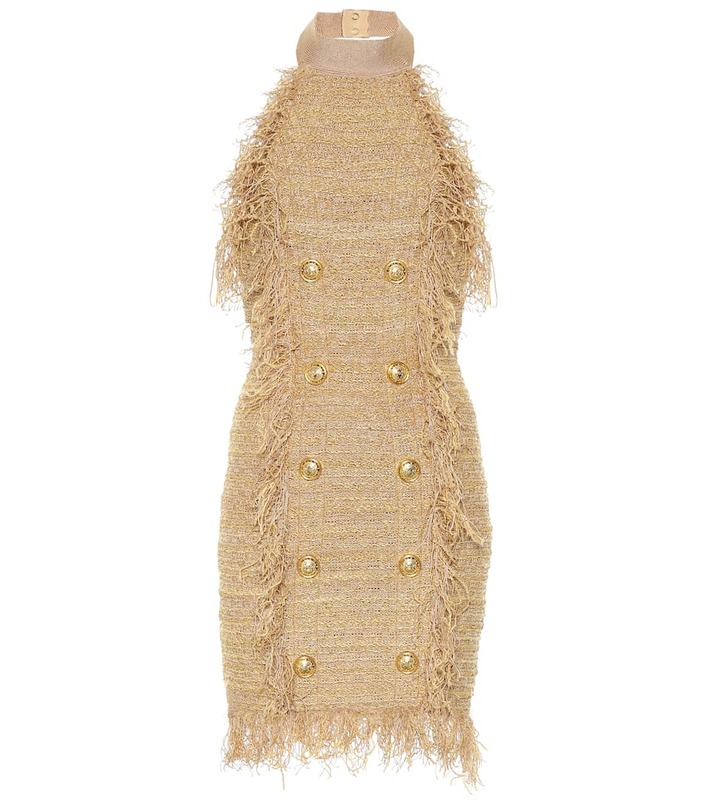 Balmain silk-blend tweed minidress, at mytheresa.com. 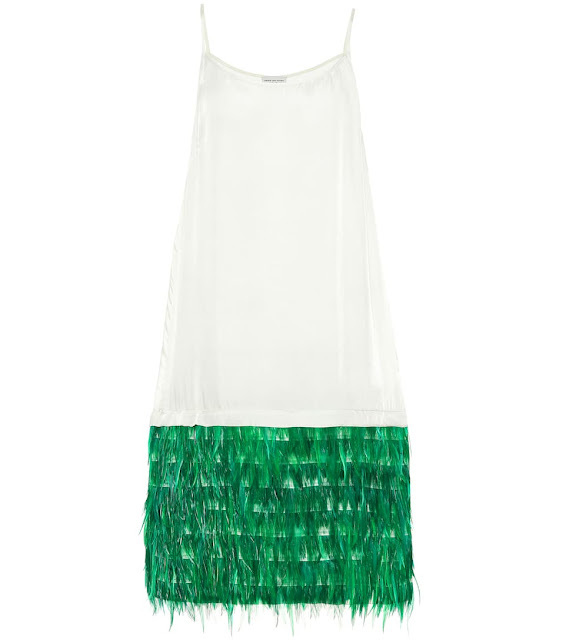 16Arlington draped sequined crepe dress, at net-a-porter.com. No. 21 Donna silk-blend midi dress, at mytheresa.com. 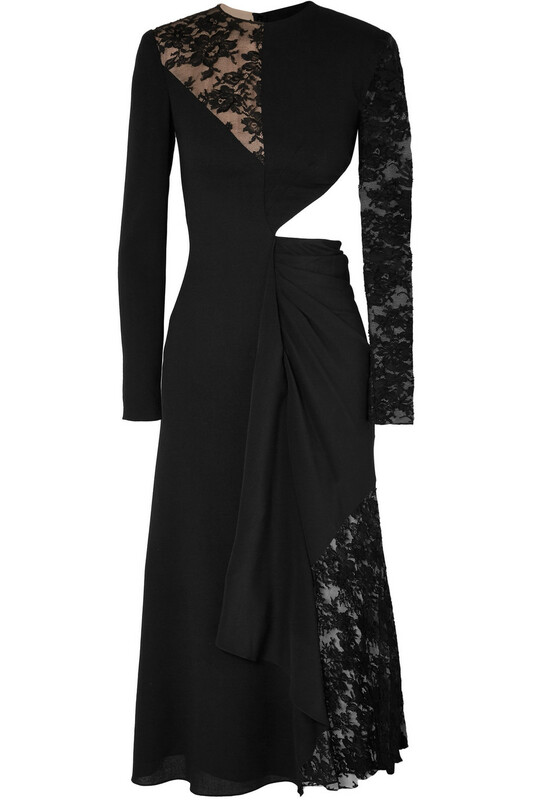 Givenchy cutout paneled wool-crepe silk crepe de chine and lace midi dress, at net-a-porter.com. 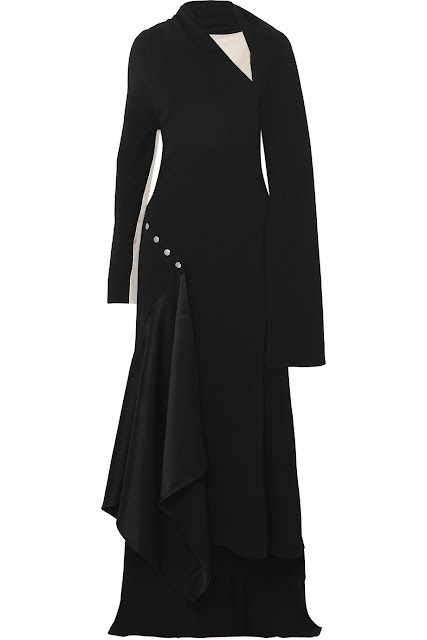 Peter Do asymmetric draped satin-trimmed crepe maxi dress, at net-a-porter.com. 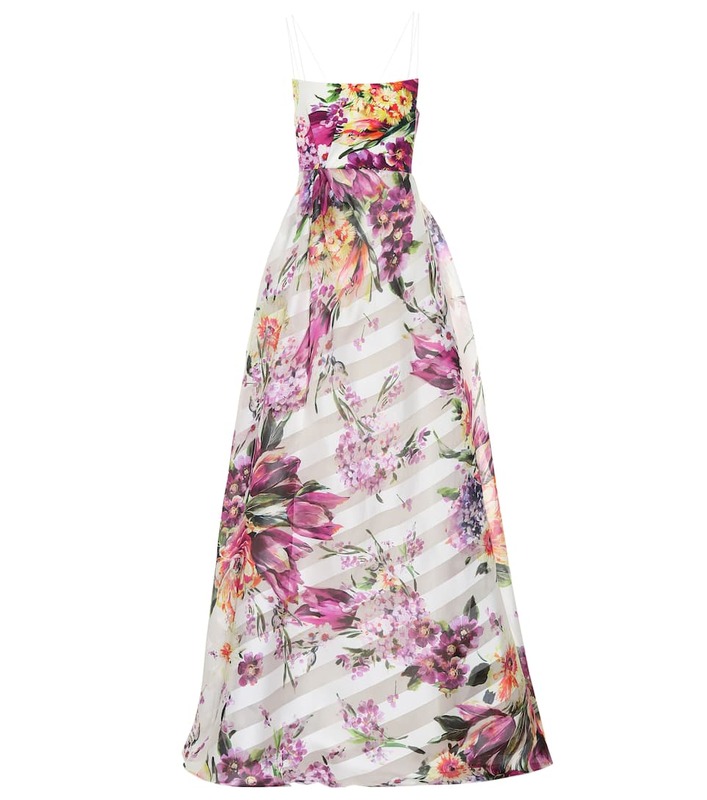 Alex Perry Camille floral crepe gown, at mytheresa.com.